My latest short Going Down was performed at Briefs last night – the quarterly new writing night I organise at the Rosemary Branch Theatre in London’s N1. The play was also performed as part of Velvet Trumpet’s Soggy Brass event on Saturday, March 29 at the Hen & Chickens, and I’m massively grateful to director James Callas Ball for directing it, and to Jennifer Woods, Charlotte Couture and Sheila Atim for performing it alongside me. 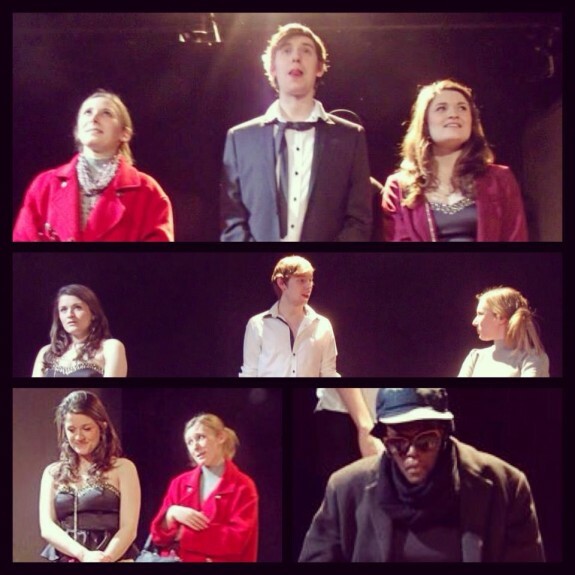 Briefs in general was a great success; with the five other short pieces going down brilliantly with the audience. Ticket sales for the night were at an all-time high, with the actors who wanted to watch the pieces they weren’t in having to sit on stools in the aisle because there were no seats left. Looking forward to the next one in the summer!